Prunus serrulata, or the Japanese flowering cherry is coming on late this year, but who cares about the wait, it’s amazing. Why do people demand evergreens, safely familiar all year long, when they can have this? This flower that’s like a drug, that alters our consciousness? One glance will smooth the worries, cancel the headache and make smiles break out everywhere. I like a tree that does unexpected things at unexpected times. Bare stems burst into tiny firework flowers, leaves shoot out and grow, colors transform and change. Maybe when life is routine we need nature to wake us up. Wake up! Lift your eyes off the ground, off the computer screen, off the continual work of our existence. Become part of something ambitious. This life, our world. These plants all around us. Here are some horticultural facts about Mt. Fuji. It grows best in zones 5-8 and require full sun and well drained soil. Since we have heavy clay, amend with compost or a raised bed might be a good option. This tree has strong horizontal branching (this makes them look so good) and can grow to 20 feet. The semi-double flowers begin as a pink bud, and then open to a light, bright white. 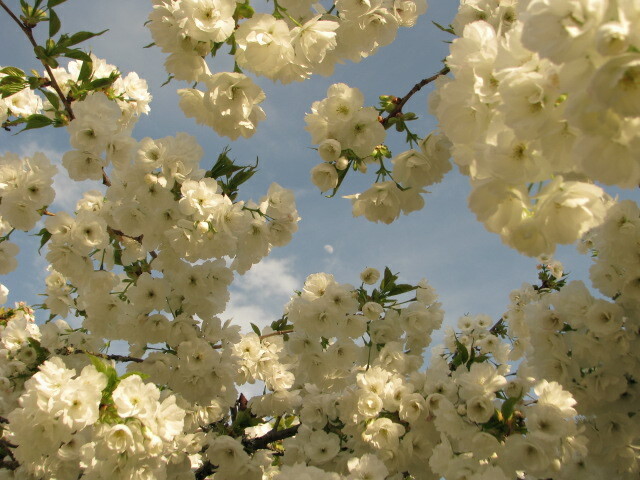 Now is the time to enjoy these beautiful flowering cherry trees. Plan a trip to the Washington Park Arboretum and choose which variety you like the best! 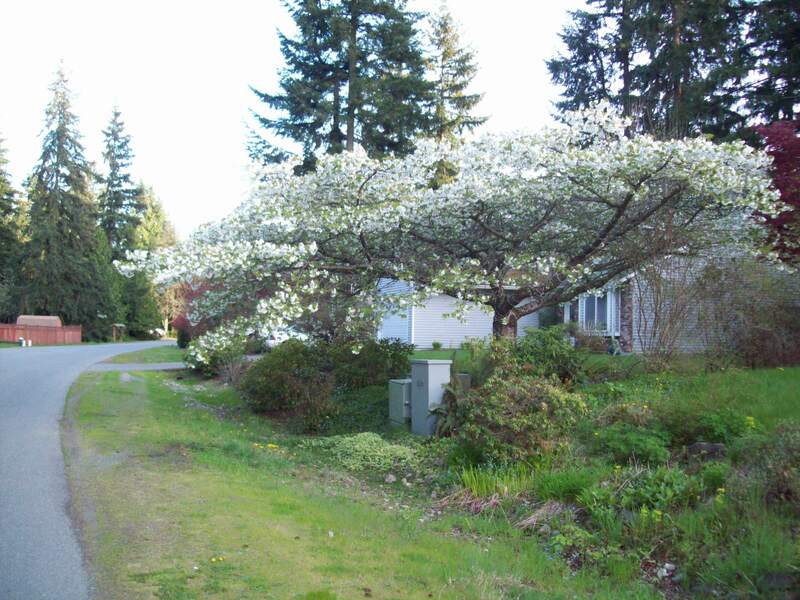 i have a cleveland pear and want to replace it with a tree like this flowering cherry. I am in walla walla wa and wonder if it would work here. I am brand new to WA Any advice? 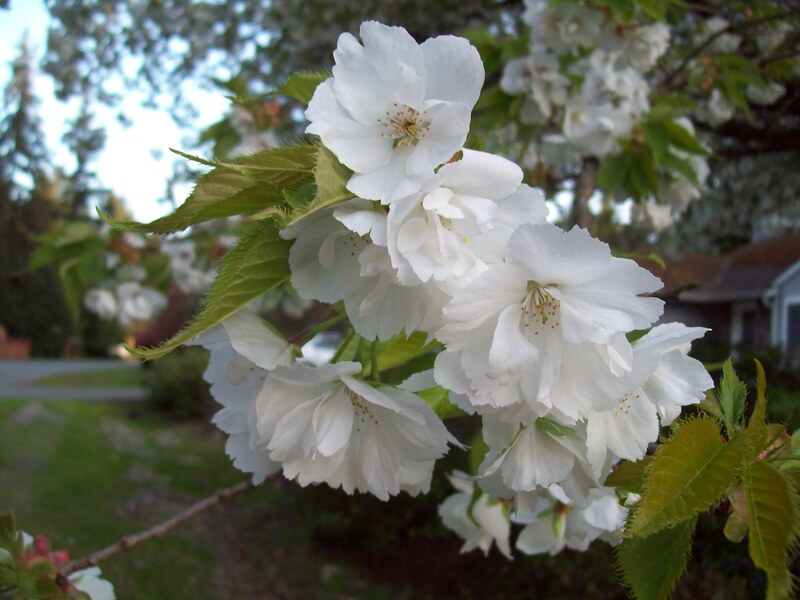 Yes, the flowering cherry should be fine in your area and there are lots to choose from in the spring. Right now selection is limited, but you could get a good deal! Look for some that are disease resistant, as flowering cherries can get fungal infections. Mt. Fuji is one of my favorites.